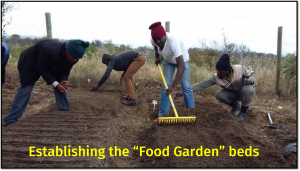 The “Food Garden” at de Kop in Stanford has been established in conjunction with the Grootbos Foundation and caters for the Parenting Worx and the HIV programmes participants. This is an amazing project that will initially provide 40 participants with “vegetable growing” skills in phase 1. The project has been developed to provide participants with sustainable livelihood skills. the 6th to the 8th November. 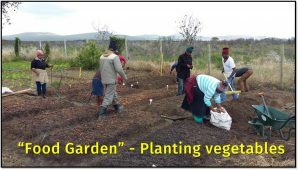 The Hermanus Rainbow Trust’s “Food Gardens” project in Stanford and Gansbaai have been established by Bathandile Siwendele, our Social Worker. The “Food Gardens have been established to grow a diverse range of foods as a direct and effective way of enhancing food availability, access and to strengthen the resilience of local food supply. They also contribute to building social capital improving environments and addressing poverty. We work on the principle that food availability can be improved by capacitating small – scale farmers and gardeners to achieve financial sustainability and can reduce food insecurities. The goal of the Hermanus Rainbow Trust’s “Food Gardens” project is to empower the Parenting Worx Programme & HIV/AIDS Programme participants and to provide them with sustainable livelihood skills..
Hermanus Rainbow Trust’s “Food Gardens” project in Stanford and Gansbaai will grow a diverse range of foods as a direct and effective way of enhancing food availability, access and to strengthen the resilience of local food supply. They also contribute to building social capital improving environments and addressing poverty. We work on the principle that food availability can be improved by capacitating small -scale farmers and gardeners to achieve financial sustainability and can reduce food insecurities. 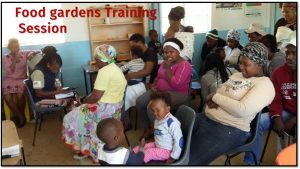 The goal of Hermanus Rainbow Trust’s “Food Gardens” project is to empower the Parenting Worx Programme & HIV/AIDS Programme participants. The project will initially utilize the gardening skills of the available resources that are participating in our PW and HIV programmes, however a full training programme will be implemented to ensure long term livelihood sustainability for all participants. The “Food Gardens” will supply fresh produce to the HRT soup kitchens and our other feeding schemes, thus feeding hungry orphans and vulnerable children to ensure no one goes to bed hungry. We also aim to utilize this project to establish a platform where all people in the community get trained on all aspects of sustainable “food growing”, providing a livelihood and access to healthy food. The project is not about a handout. It is about empowerment giving community members an opportunity to establish a sustainable livelihood and provide for their families and something worthwhile every day. A means of earning a small income and putting food in hungry bellies and cultivating a sense of social responsibility between members of the community. The Hermanus Rainbow Trust’s “Food Gardens” project is good for our local environment. The cultivation of vegetables and fruit reduces pollution by reducing the amount of carbon dioxide in the air and giving off oxygen through photosynthesis. Growing vegetables and fruit reduces the carbon footprint by not having to travel to the shops. 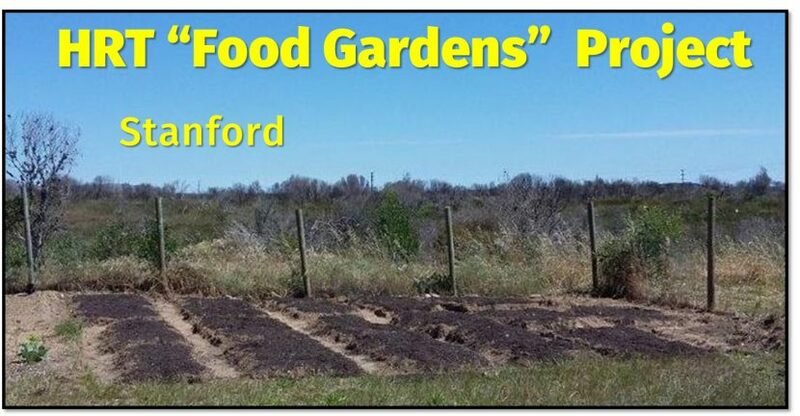 “Food Gardens” are good for the economy as they stabilize communities and increase property values. The gardens offer beauty to the community and heighten people’s awareness and appreciation for nature and living things. They filter rainwater, helping to keep lakes, rivers and groundwater clean and the soil quality is improved through local community gardens where no chemical fertilisers or pesticides are used. These gardens have shown to increase property values in the immediate vicinity where they are located. The gardens recycle huge volumes of tree trimmings, leaves, grass clippings and other organic wastes back into the soil. They are the best place to retreat from the noise of the industrial areas. The diversity of plant types in the gardens provides habitats for urban wildlife, increasing their value for improving the natural environment.